Regular readers will already be aware that the VAM – Accessible Green Energy Fund is located in Luxembourg. Apart from being a financial centre, particularly adept at fund management and hosting, Luxembourg listed the first Green Bond in 2007 in conjunction with the EIB and has recently taken a few more steps to beef up its green credentials. First, the principality has launched the Luxembourg Green Exchange – a platform for various green and climate aligned securities, with stringent listing requirements and rules on disclosure of proceeds. Second, and more relevant to us, LuxFLAG – the independent non-profit fund labelling organisation – has launched a new “Climate Finance” label, to sit alongside their existing ESG, Environment and Microfinance labels. This is an unprecedented step to create a label of this kind for this asset class in Luxembourg and we wholeheartedly welcome the new label. It our opinion it adds detail and granularity to LuxFLAG’s existing offerings, which can only help investors as they decide how best to use their assets not only to help solve but also to participate in the growth story of our time. 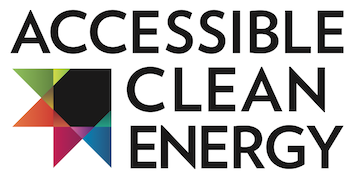 We at Accessible Clean Energy are pleased to announce that our fund is among the very first to be reviewed by LuxFLAG to receive the Climate Finance label and we anticipate the first decision by the end of the year. Watch this space!